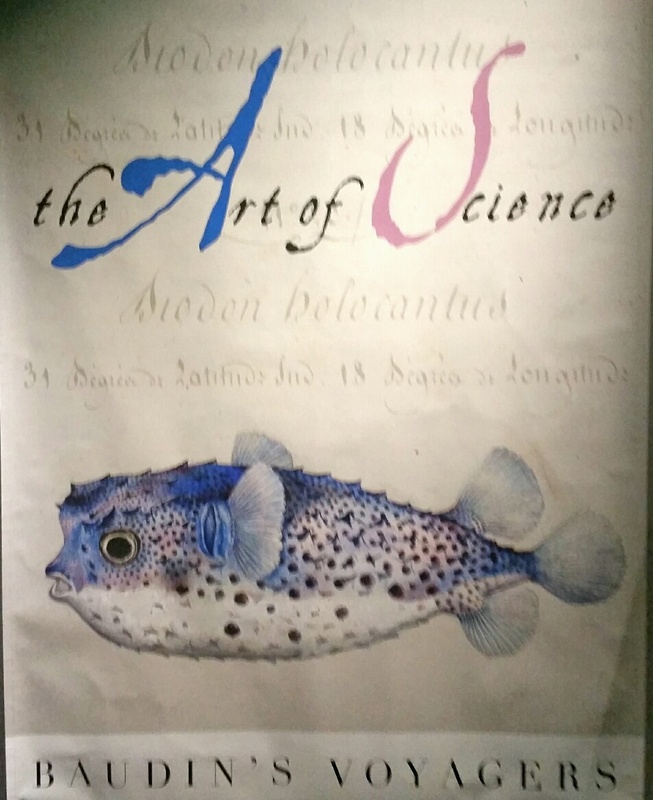 The Art of Science: Baudin’s Voyagers 1800 -1804 was opened last night by the French Ambassador, His Excellency Christophe Penot. 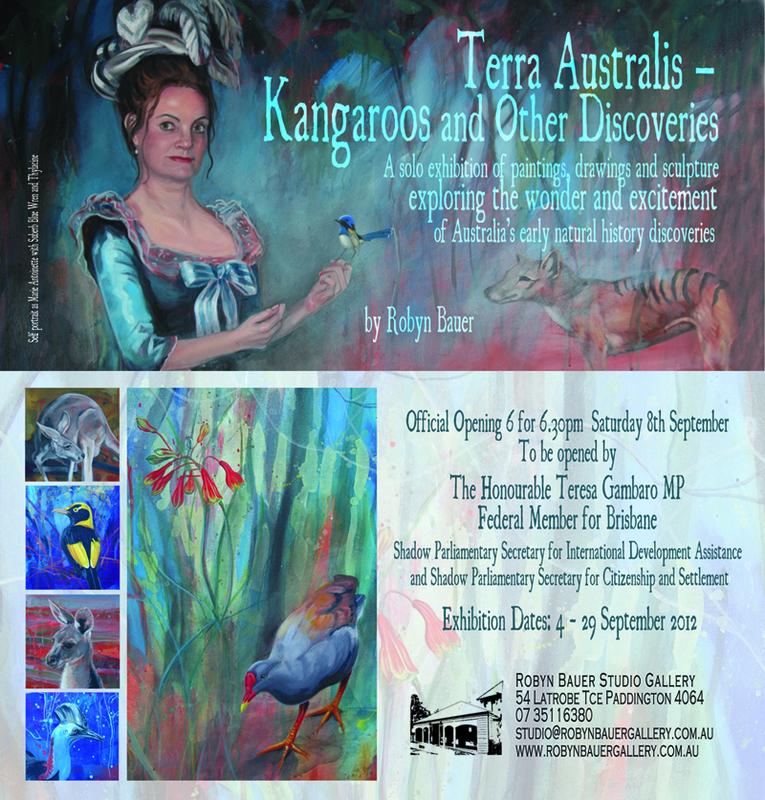 This stunning exhibition brings over 340 of the original paintings and drawings from the Museum of Natural History in Le Havre, France to Australian audiences for the first time. 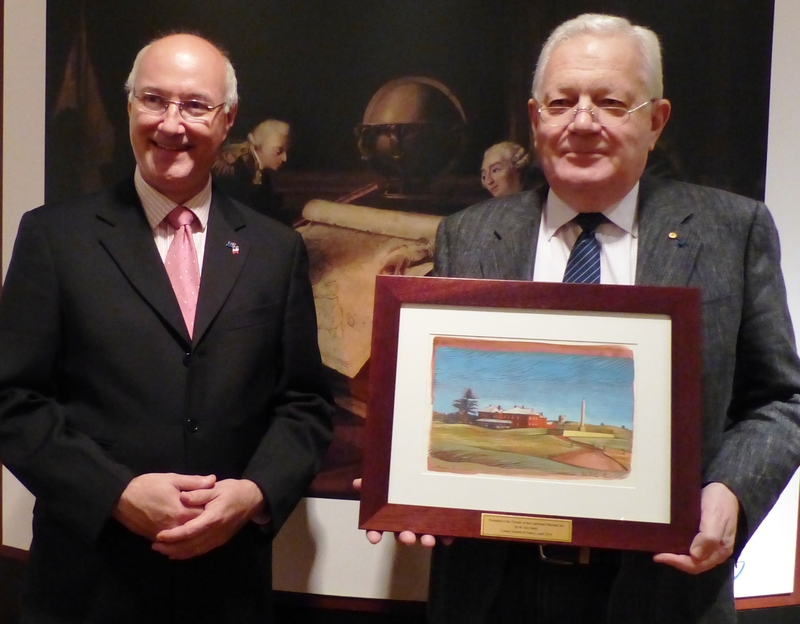 On Monday 28th April, 2014, an original gouache of the Cable Station building, housing the Laperouse Museum, was presented to the Friends of the Laperouse Museum by M.Eric Berti, Consul General of France. 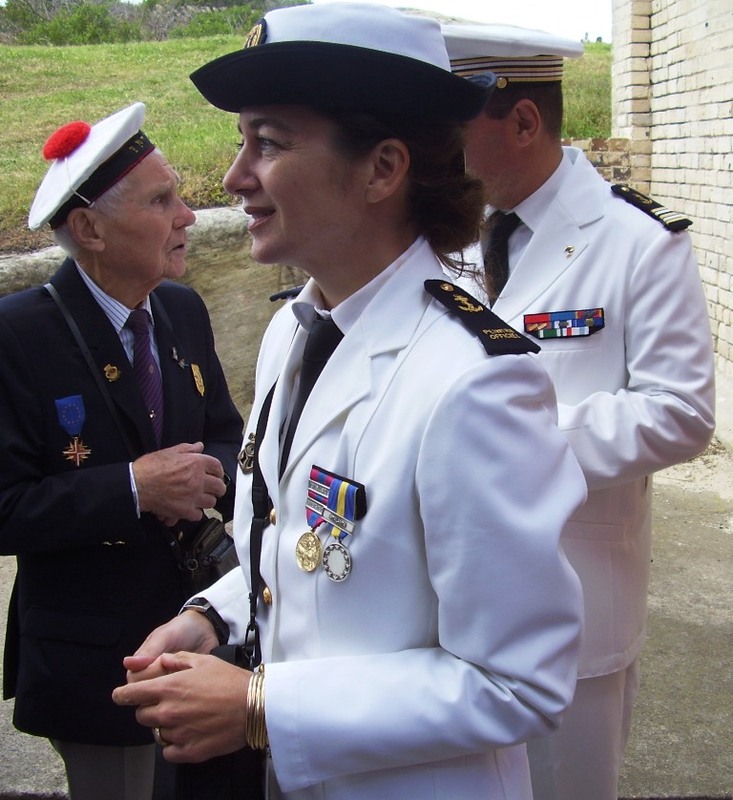 The artist is Marie Détrée, penintre officiel de la Marine (official painter of the French Navy) and pictured below at the Laperouse Museum during the visit by officers and crew of the Vendémiaire. The work was completed aboard the FS Vendémiaire during the International Fleet Review in Sydney in October 2013. 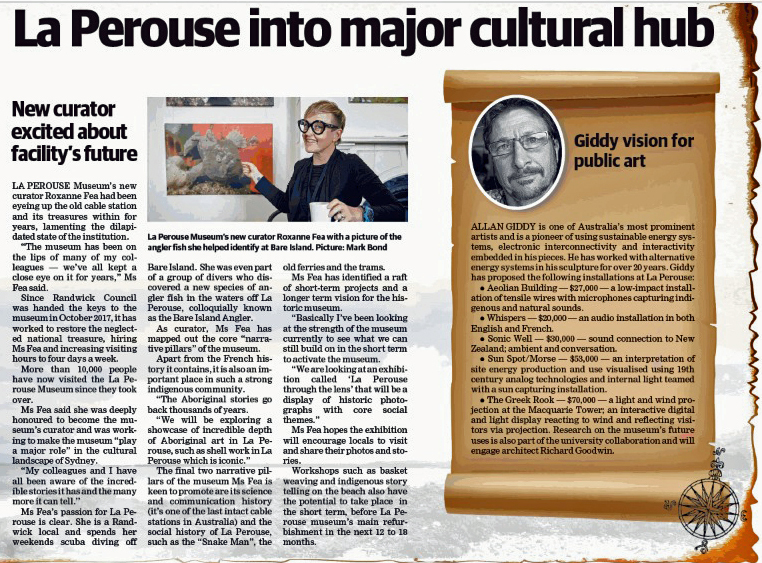 The Friends of the Laperouse Museum are creating a special fund to assist in the purchase of additional exhibits to enhance the Laperouse Museum. 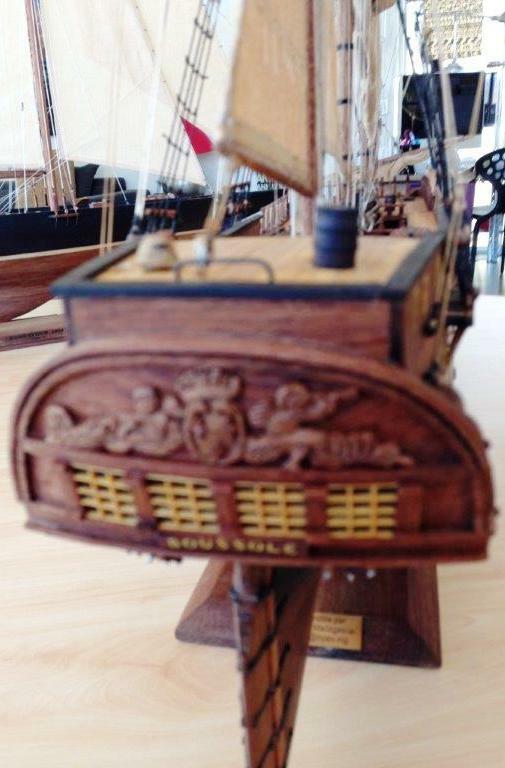 At the Annual General Meeting held on November 17th the meeting decided to purchase a museum quality scale model, exhibited at the annual meeting of Laperouse’s ship La Boussole at a cost of $3300.00. 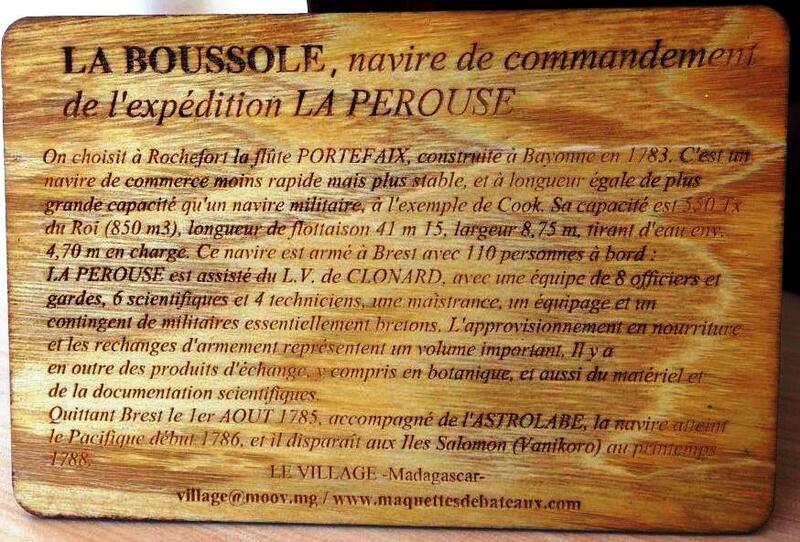 The accuracy of the model and the qualifications of the manufacturer in Madagascar has been confirmed by Monsieur Pierre Berard of the Laperouse Society in Albi France. 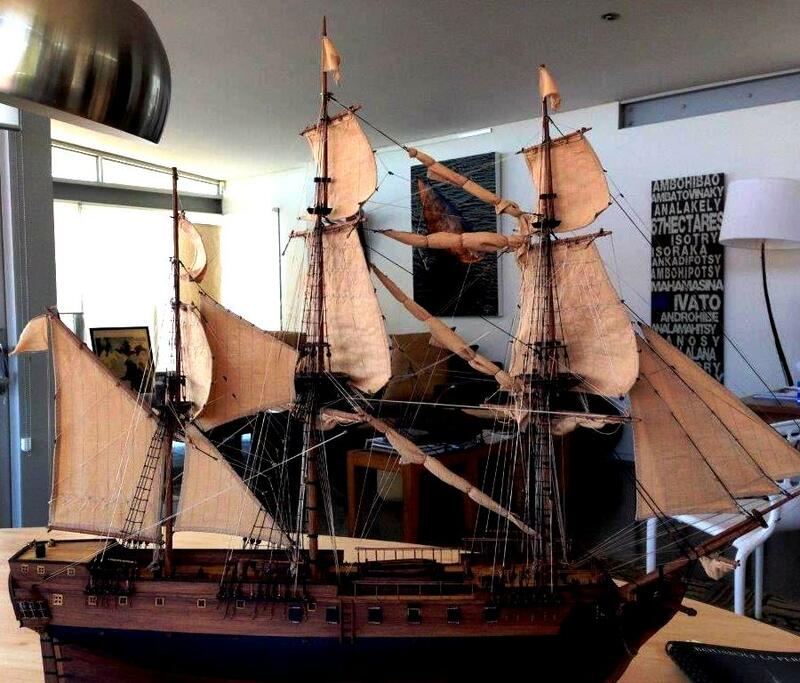 The Museum already exhibits a model of the second ship in Laperouse’s expedition, L’Astrolabe. 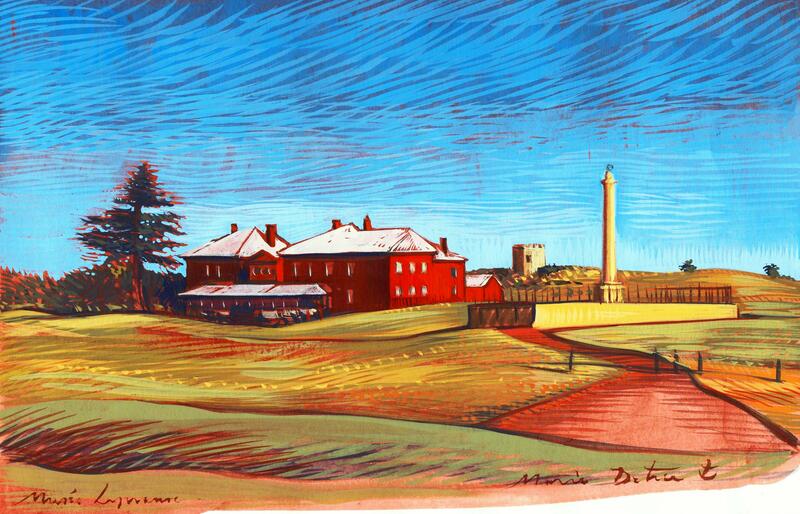 To date the fund has already raised a total $1,550.00. Additional contributions are sought. 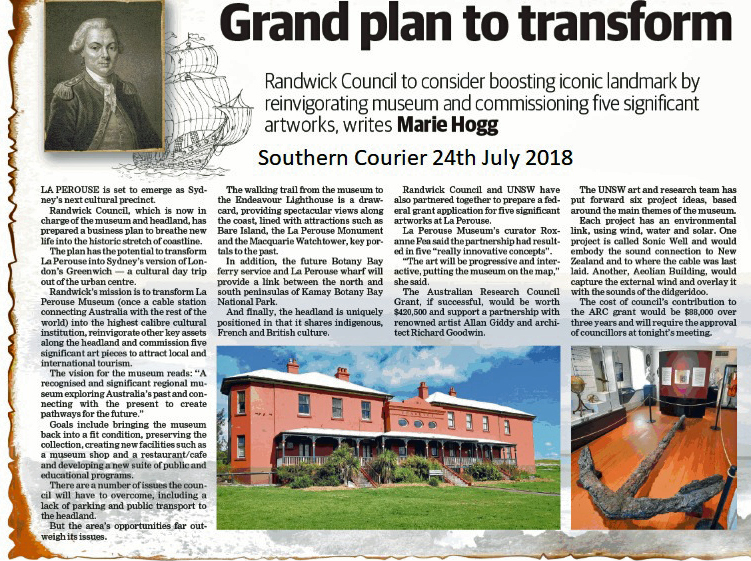 Should contributions exceed the cost, the balance will be set aside for the purchase of additional exhibits as and when they become available. No matter how small, your contribution will be appreciated .